After all of the worry and anxiety of trying to grow our first garden at the homestead with so many unknowns, the fall harvest is turning into a doozy! We have been canning and freezing and threshing and winnowing and we couldn’t be more amazed as to how well things have gone. 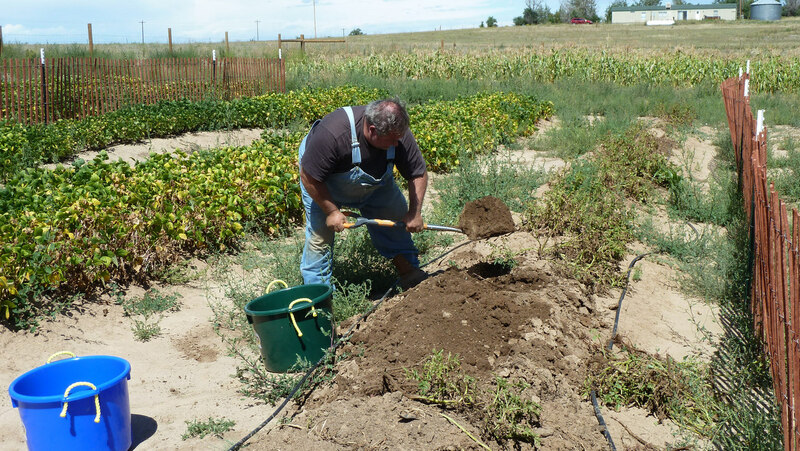 There are lessons learned but over all the amount of food we have been able to produce on a half an acre has been pretty amazing. Next year we are going to be trying some new things (like wheat and trying to get the corn to succeed with some better soil conditioning) but the first year has been amazing. 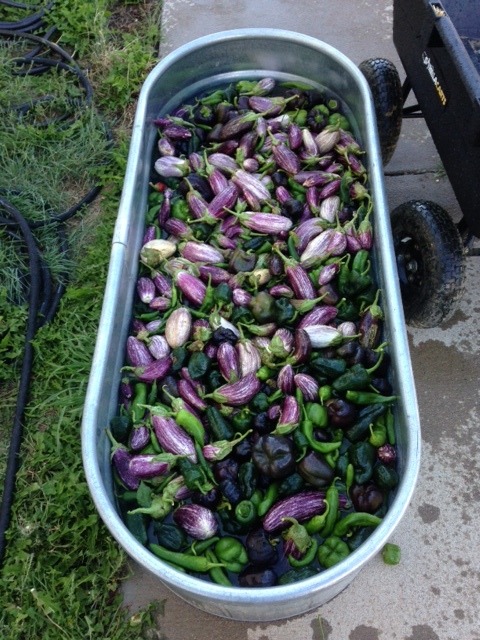 Even the eggplant and peppers, that we had given up for dead, have produced more fruit than we could handle. The Acorn squash is superb and we have Butternuts on the way. 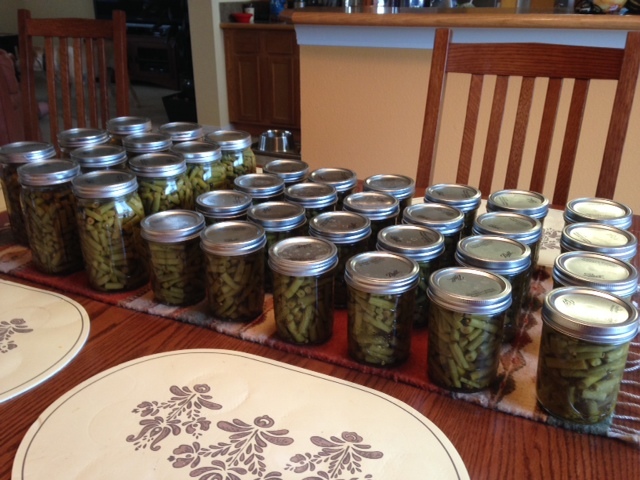 We have quarts and quarts of green beans, beets, carrots, and corn. The chickens are in the freezer, the cucumbers have been epic and we even have tomato sauce from the city when we didn’t think we would have any. We have 3 more rows of Black Beans to pick and winnow and the onions look like they are going to provide us with enough for the winter. 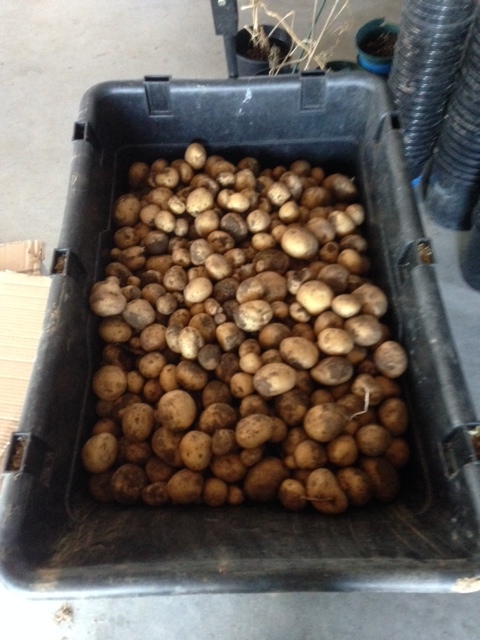 The biggest thrill has had to be the success of the potato crop. We have pulled up two of the three rows and have well over 200 pounds (Thank goodness for the Middle Buster Plow for the tractor!). I am continually amazed at how much more flavor home grown produce has versus the grocery store. Most potatoes are kind of lifeless and are in dire need of toppings. Not these! They are milky in texture and have an amazing flavor. 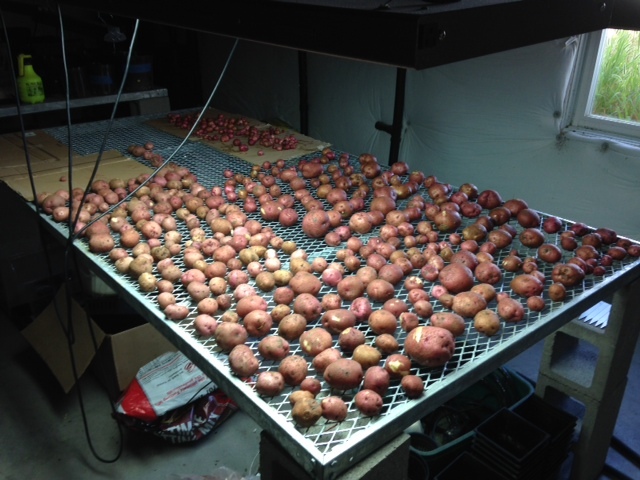 We will be putting them in kind of a root cellar in the basement for storage and we may also dry and can some. I have eyes to build a real root cellar soon as well. The culmination of it all was a dinner on Saturday night that was grown and raised, processed and cooked 100% on the property. It was probably the proudest meal I’ve ever eaten. 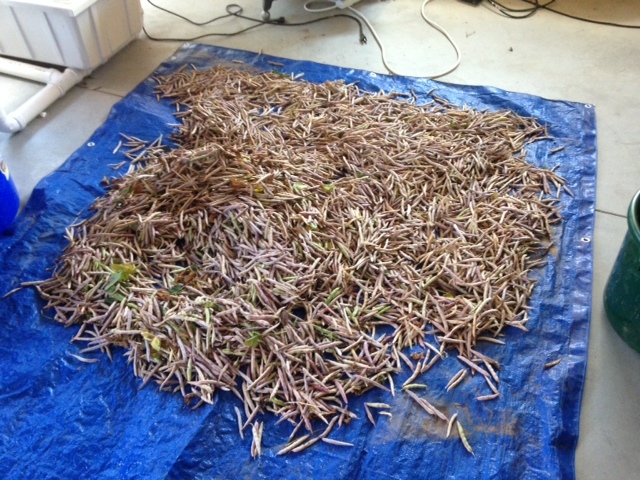 So the 2014 year of the JAZ Farm experiment has been quite a success. So much has been learned and there is much more we hope to accomplish. At least this next year we won’t be refurbishing a foreclosed on home at the same time. While this has all gotten us in shape physically we are learning that if we want to be doing this in our 70’s we need to keep up on the aerobics and light weight workouts. There are days after processing food all day that I have never been so sore, even when I was powerlifting for sport. Anyone complaining that our food pickers want a fair wage will have to answer to me. What incredibly difficult work. 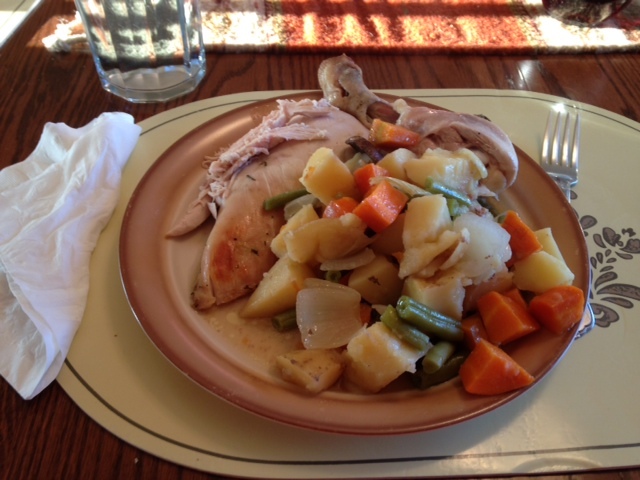 Roasted Chicken and Vegetables…. all from the farm. Distance to table… practically zero. Woohoo! The farmer couple picking and digging. 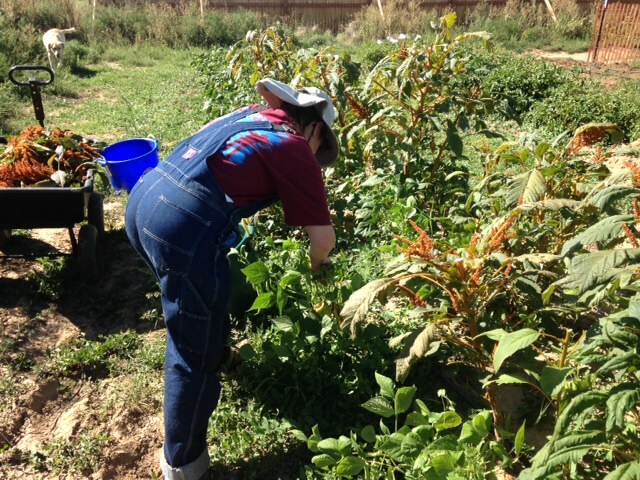 Jon harvesting potatoes and Zina picking green beans.